With enterprise systems, as with any major business initiative, success begins with a clear conception of the destination and a wholehearted commitment to getting there. This process of definition and commitment can be termed “thinking there.” It is an ongoing and iterative process of addressing some fundamental questions: Who are we as a company today – operationally, organizationally, technologically, culturally? What is our desired or “opportunity” state, driven by our strategy for distinguishing ourselves in the marketplace? Meanwhile, where does our marketplace, and especially the actions of our competitors, demand that we go? What is our capacity for changing? How can we boost that capacity if it’s not yet sufficient to get us to the destination? What specific business outcomes constitute the destination? How can we measure progress toward them? “Thinking there” involves getting crisp answers to all these questions. In most companies, the answers are, with a fair degree of accuracy, already known, although they may not be well articulated or often publicly discussed. But to form the foundation for an ES initiative, they must be articulated and discussed. Why? Because with a business initiative as expansive and expensive as an ES, the last thing you want to do is attempt the impossible. And the next-to-last thing you want to do is leave potential business benefits on the table. To avoid both pitfalls, you’ve got to begin by “thinking there” clearly. The “one system” for an integrated company. The means of integrating selected processes, often associated with corporate functions such as finance and human resources. The “common core” of systems for a company that seeks coordination across many processes while allowing local variations in how they’re performed. The means of bringing selected processes in selected locations up to speed. In other words, the approaches that work range from being global to being highly selective. And the number of workable approaches continues to grow – thanks to both experience and technological advance. Many companies embark on ES initiatives with the intent of establishing common processes and information across all business units. What distinguishes the implementation successes from the failures is the seriousness of that intent. At project launch, the winners and losers say exactly the same things about the benefits of consistency, coordination and communication. But for some it’s just a momentary (though often convincing) commitment to a theoretical idea. For others, it’s the immediate mission of the corporation – clearly reflected in the day-to-day executive agenda and the executive compensation plan. Distinguishing between these two situations is not difficult for someone asking the right questions and looking for the right signs. In the old days, information systems project management was about delivering “working software and trained users” at a cost within shouting distance of the original budget. Today, the business potential of technology-driven change is so great that the difference between “working software” and real business success can be the difference between business-as-usual and rearranging your competitive landscape. Successful companies can redefine market channel relationships, redefine customer relationships, or earn ROIs exceeding 100 percent. ES project management is not an IT challenge, but a business challenge – and the key to winning big is outcomes-based management. Comprehensive outcomes-based management involves much more than a business case and benefit targets. Outcomes-based management is about identifying the key operational imperatives required to propel the overall business strategy, and driving these imperatives into the fabric of the work. Outcomes-based management forges the linkages from operational work to strategy and shareholder value. In theory, this approach sounds simple. In practice, it requires diligence and sophistication. Why? Because business strategies are unique, and the key operational imperatives will be drawn from all disciplines: marketing, product and service development, channel management, operations, logistics, customer service, finance, etc. Although there are clear best-practices for outcomes-based management, there can be no cookbook methodology because ES is about competing through business operations. Our outcomes are what differentiate our business. Our outcomes allow our ES implementation to differ from everyone else’s. Business outcomes are the definition of success: the result obtained, not the process for obtaining it. For example, reducing the average order processing cycle from 3 days to 5 minutes is a significant business success, but the pros and cons of alternate approaches to achieving this performance will always be legitimate subjects of debate. But with a clear initial definition of success and the determination to achieve it, these debates reach closure quickly and people commit to action. Throughout the research, we were struck by how clearly and crisply best-practice companies articulated their required business outcomes. Business outcomes must be tangible and operationally specific, must have business significance and map to business value, and must be unambiguous and measurable. “Reducing order processing time from 3 days to 5 minutes” is a business outcome; “Implement a standard order processing system” is a rather vague goal. “Close the books in 2 days” is an outcome; “Improve the timeliness of financial reporting” is a vague goal. Outcomes-based approaches simplify and accelerate ES projects and increase their chances of business success. ES projects are large and complex by nature. Project-plan tasks frequently number in the thousands. Project rosters of 30-50 full-time professionals are considered small, and 100+ are not atypical. Most significantly, business people are being asked to accomplish their work activities in new, different ways. Alignment is absolutely essential, and business outcomes are the agency for aligning activities and decisions of everyone involved in or affected by ES implementation. If linked appropriately across levels (from the shop-floor to the boardroom), the business outcomes can be a means to demolish cross-functional barriers. Projects accelerate because teams don’t dally in endless debate or pursue private agendas. The outcomes provide the platform for results and project accountability. Business outcomes are developed through a facilitated conversation among senior managers. The conversation takes the understanding of “who we are” and the outline of a realistically ambitious “desired state,” and then makes the desired state tangible. What specifically distinguishes it from the present state of the business? What would it be like – in terms of operational performance and business capability – to have reached the desired state? What combination of performance levels and business changes constitute the desired state? These are the outcomes. The process of developing them is the beginning of the business alignment, change management, and communications campaign. Large ES projects can take on lives of their own. Preventing this, and enforcing focus on business objectives, requires explicit project structure, which in turn promotes the appropriate decisions and behaviors. Clear and well-communicated project structure is essential to ensure that both the project teams and their customer constituencies maintain clarity for the duration of the endeavor. An ES project’s structure – its overall design, activities and resource plans, timetable, and governance structure – is the most direct and detailed communication of serious intent that an organization can deliver. Structuring a large ES project involves the following activities. Determine project phasing and timing. The basic options for implementation approach are horizontal and vertical. In a horizontal approach, a company implements one process (e.g., financials) across the entire enterprise (multiple organizations), before implementing subsequent processes (e.g., fulfillment). In a vertical approach, a company implements multiple processes (e.g., manufacturing, fulfillment, procurement, financials, etc.) at one operating unit, and progresses across the enterprise unit-by-unit. Within each approach there are variations in phasing: What can be done in parallel, what must be done sequentially, and what can be done in overlapping fashion? In a horizontal implementation, can many business units implement at once? In a vertical implementation, how many processes can “go live” together? What phasing allows us to gain experience fastest and transfer it across units most effectively? Establish project team organization. An outcomes-oriented project explicitly recognizes that process-oriented corporate structures are inherently matrices. Process owners are responsible for the design and performance of processes wherever they are executed. Business owners, like divisional and location heads, are responsible for the work of organizational units. They have P&L responsibility, hence the most direct vested interest in realizing business outcomes. They and their people use the ES, ongoing education and training is in their budgets, and they have the ability to motivate people to change. Establish technology and operating architecture. In the early 1990s, establishing an effective technology environment for the project itself required a depth and quantity of expertise in new platforms, networks and tools (e.g., UNIX, TCP/IP, Windows, SCCS, etc.) that was beyond most companies’ capabilities. Though setting up a project environment is still a major issue, the good news is that tools and practices have improved dramatically, and promise to continue improving. The best-practices approach to ES technology architecture is to analyze not only installation requirements, but also the anticipated services and service levels in the new technological environment. Since accelerated project management methods allow companies to configure pilot environments in less than a year, the time horizons to develop the enterprise’s long-term technological operating plan have shrunk dramatically. Establish project governance. Executive management must have passion and create ownership for the business success of the project. Process and business ownership of the business outcomes must be real, not just a tacit steering committee blessing. For this reason, there must be a solid line relationship between the project team and the process and business owners. Ensuring that the relationships between the business and the project stay vibrant and powerful is the primary role and responsibility of the executive management board as well as the project leader. Leadership behavior is the norm, regardless of the box one sits in. Develop the resource plan. Resourcing an ES project presents a basic choice. The least organizationally painful (but probably most expensive) approach is to hire a systems integrator to turnkey the effort. This approach leads to a focus on installing the software rather than transforming business operations, but most such projects do get done and generate positive ROI. The outcomes-based approach takes the opposite course. Systems integrators and consultants may be extensively employed, but the project cannot be turned over to someone else. Outcomes-based management is about trying to transform the enterprise. Because the business outcomes are so significant, the company makes the choice to put many of its best business and IT people on the project, to have the whole company pull together to take up the slack, and to undertake the change management initiatives for organizational transformation. Learn and revisit. One of the inherent advantages of outcomes-based management is that, with a focus on the future, the grip of the present is less strong. It’s easier to assess the current situation dispassionately and determine if change is required to shorten the journey or improve the aim at the target. Though this license to re-think and change is an essential asset to project managers, it may be even more important to the business as a whole. Successfully “living there” occurs through ongoing examination and learning. Revisiting what’s being done and why should become second nature to people. Two additional ongoing activities must explicitly overlay the above steps: develop and maintain executive passion, and develop and reinforce teamwork across the business and the impacted business communities. Executive and team behaviors must be consciously fostered throughout ES implementation. Otherwise, the barriers and restraints of business as usual will weaken alignment, project structure and the chances of successful outcomes. Continuing the activities of project structuring, and sometimes restructuring the project on the fly. Team organization and governance are adjusted to accommodate changes in the players, business circumstances, outcomes priorities, and the growing experience level of the project staff. The technical architecture is adjusted as pilots reveal the detailed requirements of installation. And, of course, the details of the resource plan are adjusted continuously. Occasionally revisiting with executive management the issues of “thinking there.” Even if business outcomes and project ambition are strongly aligned with business identity and strategy from the start, priorities and timing of outcomes may have to change due to changes in the business or the realities of how the ES project is unfolding. Regularly anticipating “living there” issues. Day-to-day project management decisions should be driven by, in order of precedence: 1) business outcomes, 2) enabling the company to work well when the ES is in place, and 3) immediate project expediency. This precedence is clear, but can never be perfectly followed. The art of project management is making the tradeoffs that keep momentum up and keep the long-term direction in focus. Paying constant attention to organizational change management. Change management activities – including general communications, changes in HR systems, and individual employee training – prepare people for the future by involving them in it, both intellectually and behaviorally. ES project management is as much about the work streams for change management as about those for process and technology change. Moreover, the project manager and other project leaders, by their personal example, create organizational energy and the will to change. 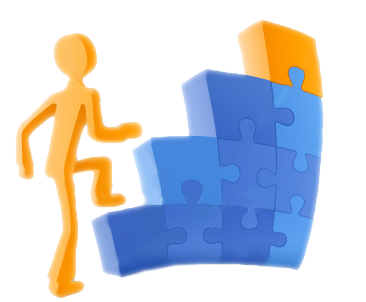 Many of the critical success factors for managing ES implementation are common to large business change initiatives: a clearly defined business model, strong sponsorship, an accomplished and well-positioned project manager, skilled and dedicated and empowered project teams, regular project tracking and reporting, and rapid resolution of issues as they inevitably arise. Several additional success factors are more specific to ES initiatives: avoiding the technology problems of inadequate infrastructure, managing the work of vendors and consultants, coping with team turnover during a lengthy project, managing the legacy environment in parallel, and communicating effectively with all stakeholders to maintain momentum. The highest order of success is reached not just when a company attains the outcomes, and not just when it operates well with the ES in place, but when it becomes adept at “living there.” This means capitalizing on the information available in an ES and the experience gained in ES implementation, and making the ES a platform for new business initiatives, improved management processes, and ongoing creation of new business value. But getting business value from an ES requires that it be viewed not as a project, but rather as a way of life. Some activities that are central to achieving ES value can only be undertaken once the system is in place. Others, though begun before installation, are not complete until the company learns to make the most of operating with an ES in place. There are the “living there” issues: How can the ES continue to make the firm more efficient and effective? How can the close fit between system and organization be maintained over time? How do we maximize the value the organization derives from its ES in day-to-day operations? How do we measure that value, above and beyond reaching the business outcomes, that drove the ES project? How do we maintain and upgrade the ES? How will the business and its ES accommodate changes to management processes and the information they use? How will we adjust to changes in marketplace strategy, organizational structure, and operational processes? How can we extend the ES model to customers and suppliers? Few companies have had ESs implemented long enough to master all these “living there” issues, so there are no simple benchmarks or established best practice cases. Nonetheless, based on experience to date – especially the problems encountered by companies that failed to anticipate these issues – we can delineate the major issues of “living there” and adjust ES implementation activities to take advantage of that awareness. Shaun, a very interesting article. A few questions which I sense you will be able to offer some illumination. Are Enterprise Systems (ES) applications which support the business process or drive it? If, as I assume, they support business process its implementation is evidence of an organisation growing and successful growth is driven my astute business acumen. Starting with the end in mind or ‘thinking there’ is a fair notion but is it the fundamental foundation for the implementation of ES? You mention that businesses are able to articulate their end state and have some strategy for getting there; surely ES shouldn’t be the one stop strategy for an intergraded organisation people should. A point I wholeheartedly agree with is the notion of the project management of ES and it being a business challenge. In order to support the business and improve productivity across a variety of services, systems or outcomes it should create a synergetic service; a result greater than the sum of the investment, 1+1=3. In terms of business success it is surely measure in the margin, and one area you allude to is the potential expenditure of implementing ES, not to mention getting it wrong! A vast area of benefit with the implementation of ES sounds to me to be the leverage it could create. Enabling greater productivity with a minimal input, effectively allowing the systems to take the strain. I do, however, have issue with the notion of living there, which seems very limiting and indeed a paradox in terms of the whole notion of implementation in the first place. Its implementation is about change, making a decision to grow, improve productivity, outputs and profit. Living there is a static notion; ES should further enable growth. Admittedly the notion of ES having a truly AI foundation may be some time off, but the constant evaluation of systems in place and evaluation of technology should itself be the basis for growth (living) not living there. Shaun a great though provoking article.